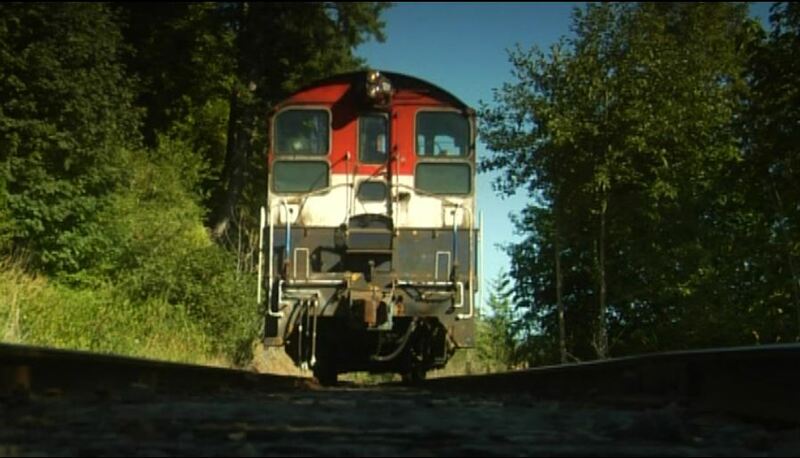 Filmed entirely in the State of Oregon, Train Master gives us a look at three different railroad operations. 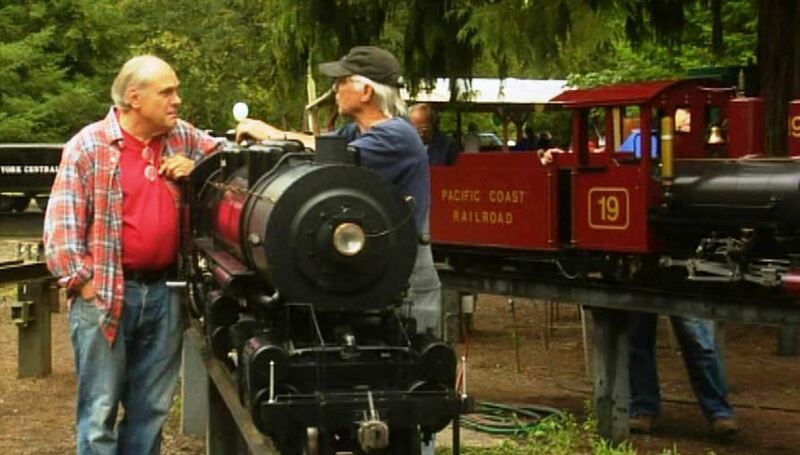 First is the Portland & Western Railroad; Second is the Columbia Gorge Model Railroad Club; Third is the Pacific Northwest Live Steamers. 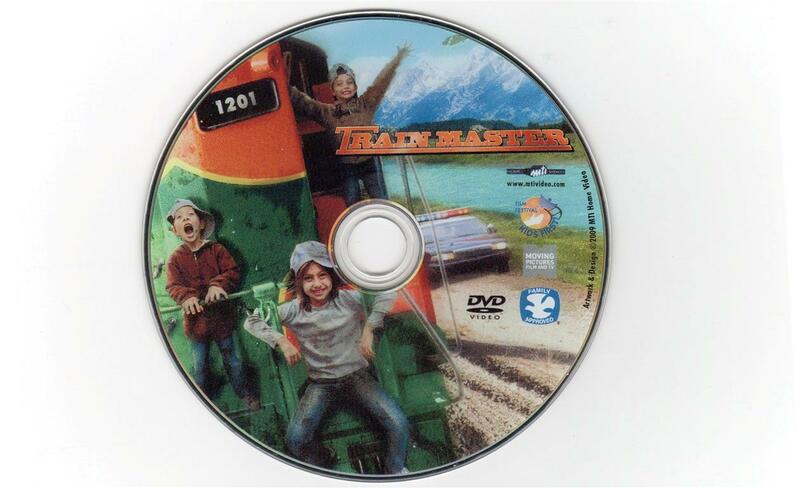 The graphics on the DVD and packaging makes me think the artist was a closet Great Northern Railway fan. It shows a high-nose EMD Geep in GN Ry’s orange/green/gold stripe scheme. 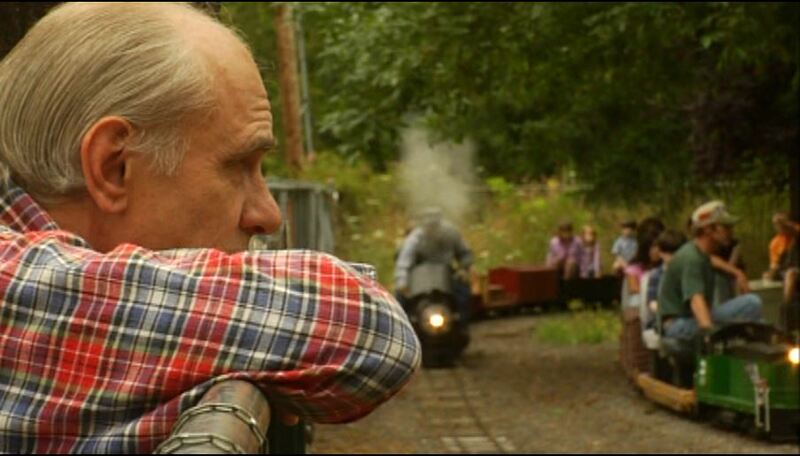 Independently produced, this movie is a tribute to a young boy who loved trains. Internet Movie Database gives this movie only 5.2 stars out of ten and it’s easy to see why. 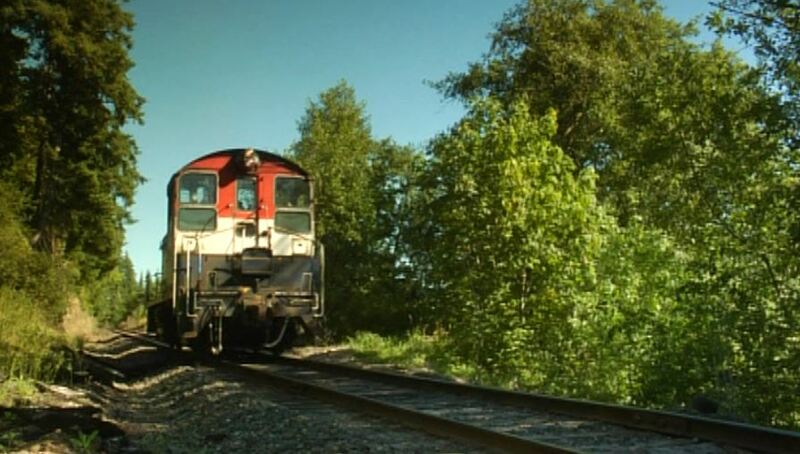 Despite being promoted as a children’s movie, the film’s dirge-like soundtrack is depressing and the plot is hard to follow with the live railroad operations bordering on unbelieveable. 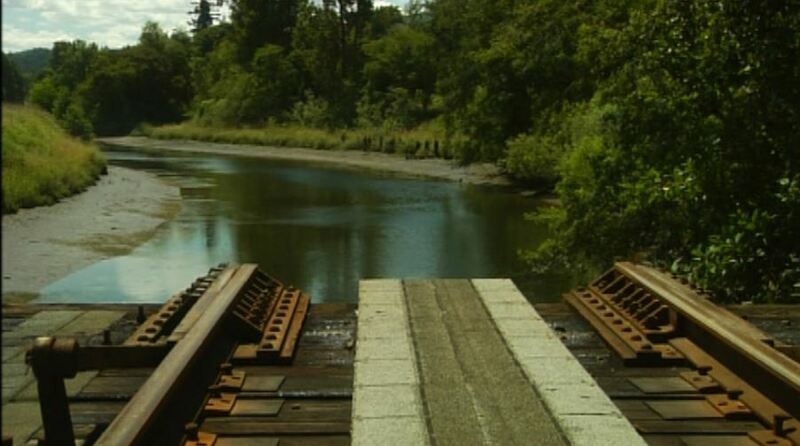 Beautiful 3/4 view of Willamette Western Railroad (WWR) #1200. 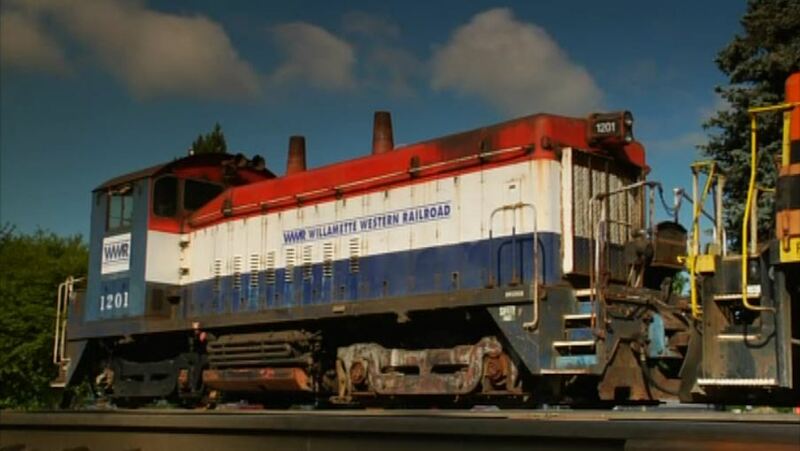 This unit is a Portland & Western Railroad SW9 switcher, originally built for the Pittsburg & Shawmut in October 1953 as P&S # 232/1866 — where it received its red/white/blue paint scheme for the American Bicentennial. 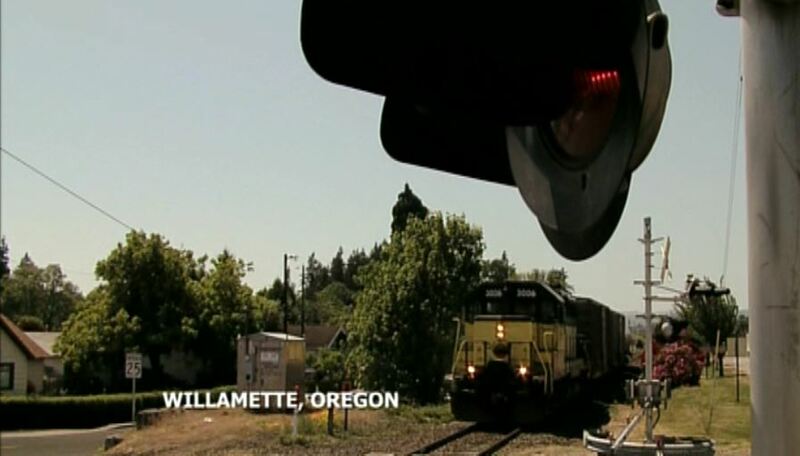 The movie opens with old head Jeremiah Wilson (played by Michael Biesanz) running a Portland & Western ex-Rock Island GP40 #3006. 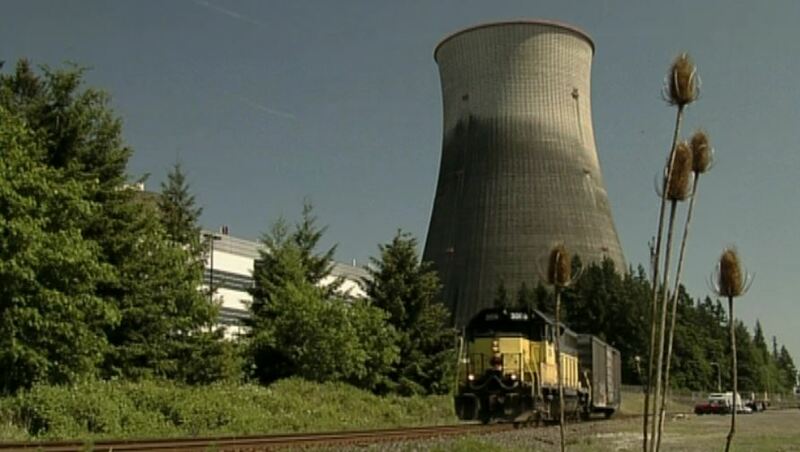 Looming ahead of Jeremiah’s train is the former Trojan Nuclear Power Plant which figures into the movie’s twisted plot — later on. 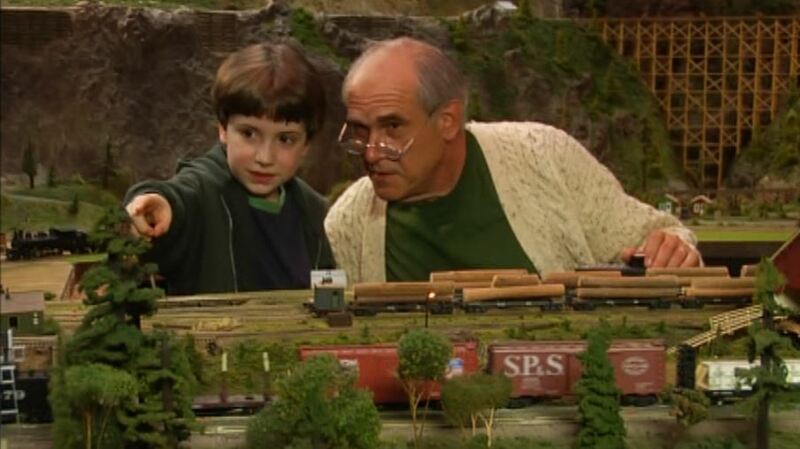 Next thing you know, Jeremiah’s down at the Columbia Gorge Model Railroad Club with his grandson, Thomas Wilson-Ward (played by Elijah Nelson). 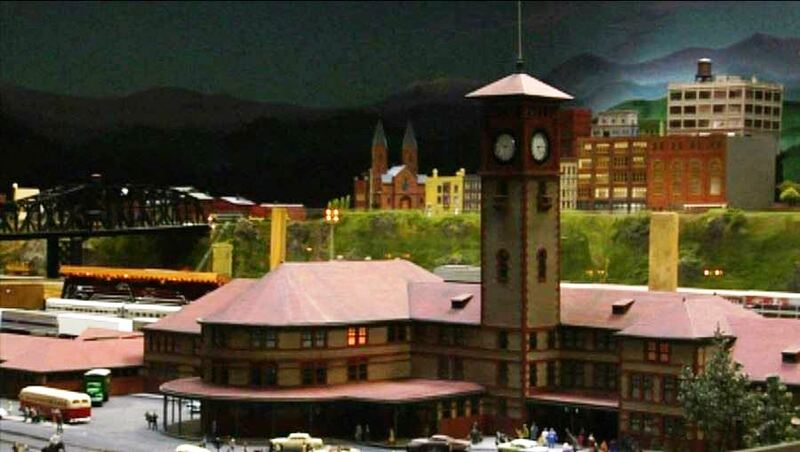 Very nice model of Portland Union Station! 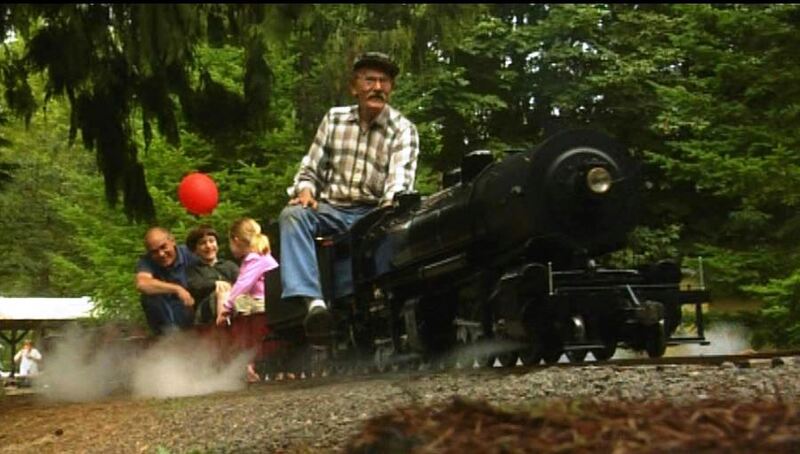 Grandpa even takes his two grand kids all the way down to Molalla Train Park for a ride behind an Erie Triplex. 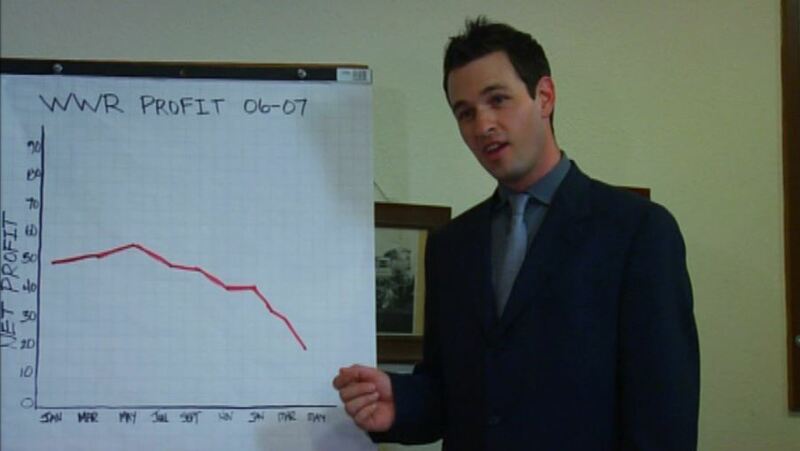 Uh-oh…net profits are way down. 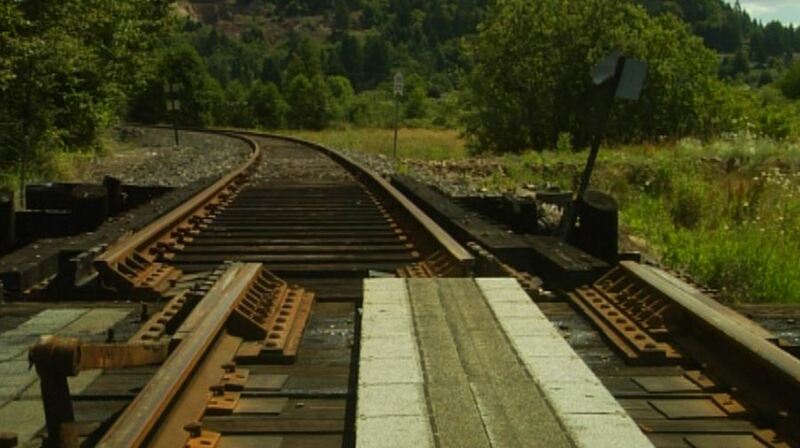 WWR has just been bought by an Eastern railroad. Sent out to run WWR, Brett Banner (played by Jon Ashley Hall) does NOT get along with our hero, Jeremiah. 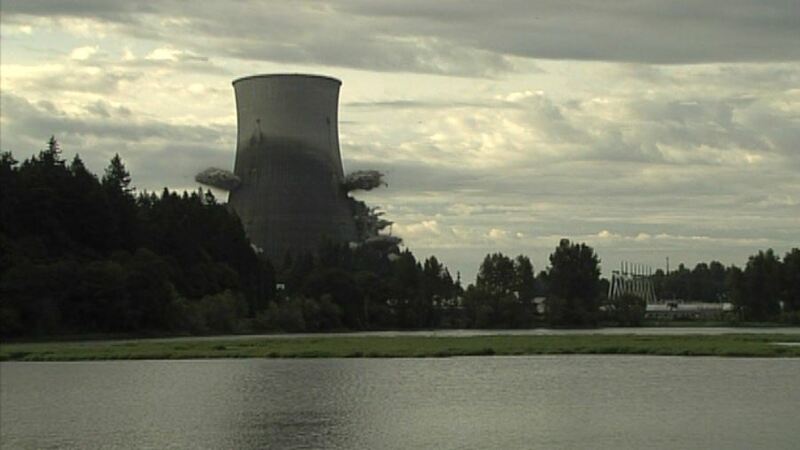 Soon, the bitter, unemployed engineer finds himself back in Molalla with nothing to do. 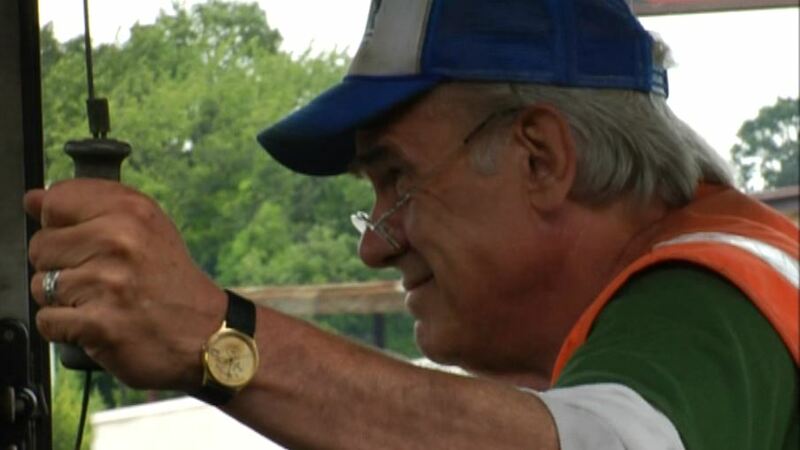 I have to say that actor Jon Ashley Hall did a wonderful job portraying the snot-nosed prick who fires our hero Jeremiah. 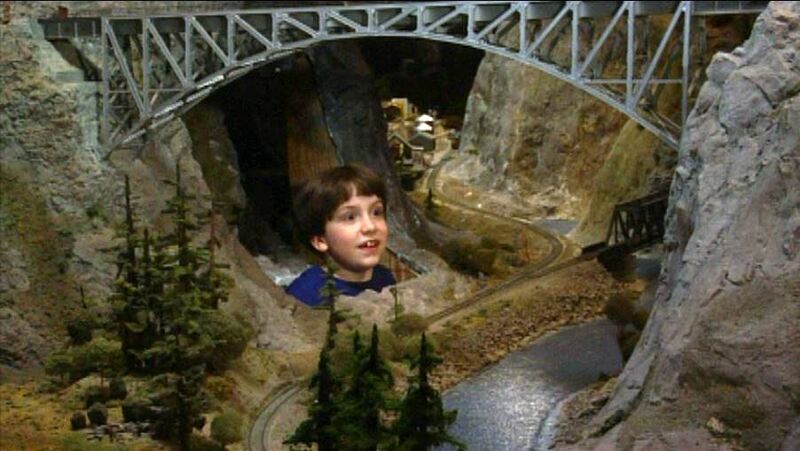 Thomas and friends sneak into Grandpa’s model layout (Columbia Gorge Model RR) for a look around. 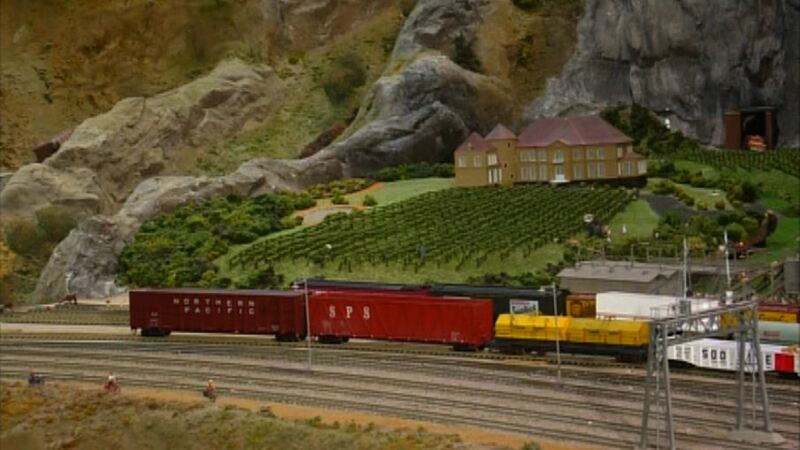 Here we see a vineyard/winery/mansion “lift out” section. Two more lift out sections. 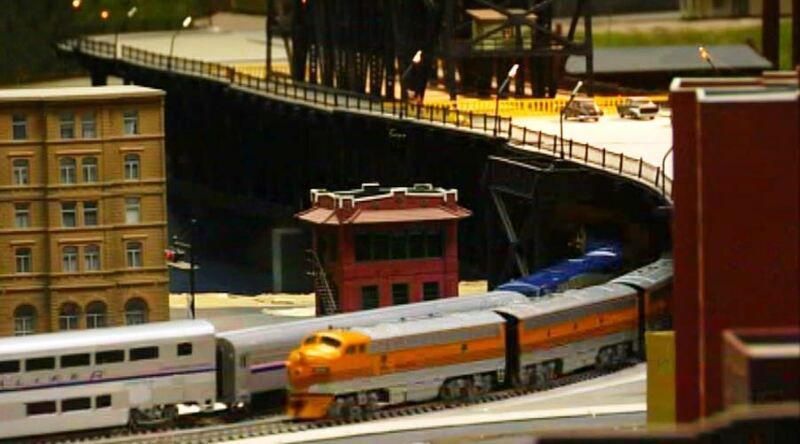 Here Thomas operates a train as his sister looks on; Rio Grande Zephyr meets Amtrak’s Coast Starlight on the Steel Bridge in Portland. 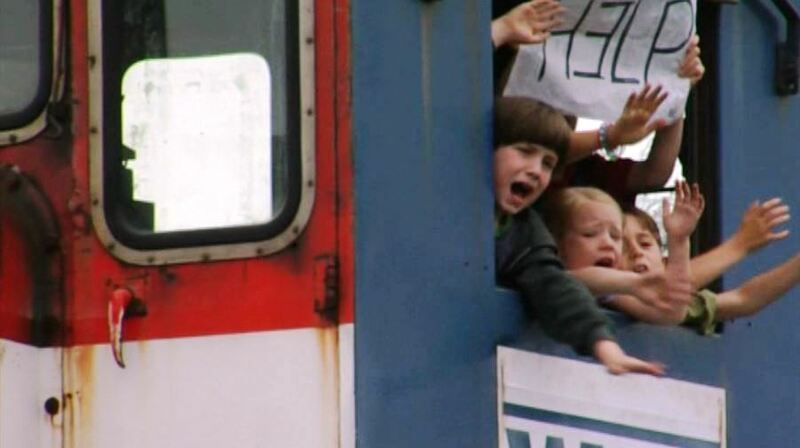 Somehow, the kids all wind up at the rail yard on the steps of WWR #1201; Oh, no! 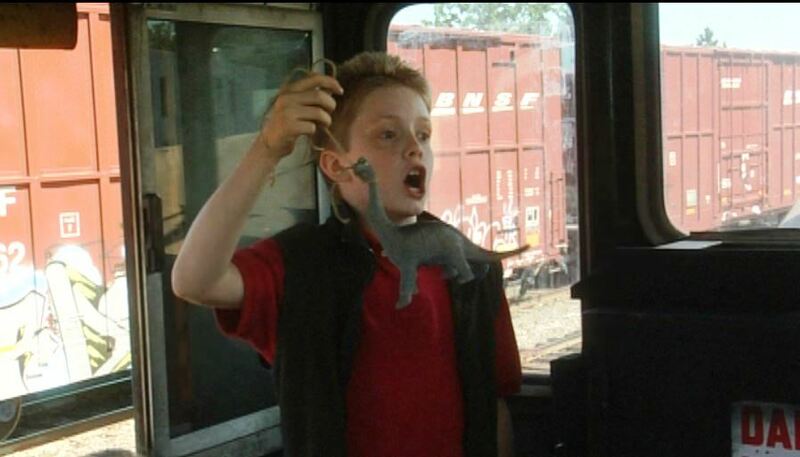 Brett Banner’s jerk SON Justin (played by Daniel Nelson) has KIDNAPPED Thomas’ favorite, plastic dinosaur! 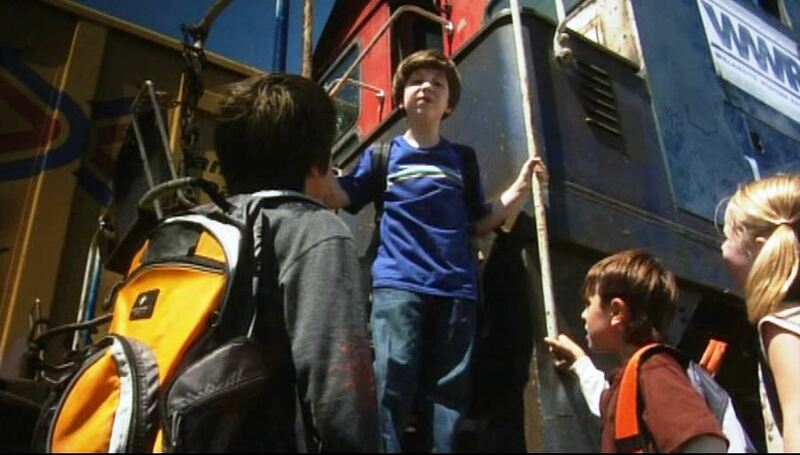 Justin refuses to return said plastic lizard until Thomas operates the locomotive. Yeah, right. 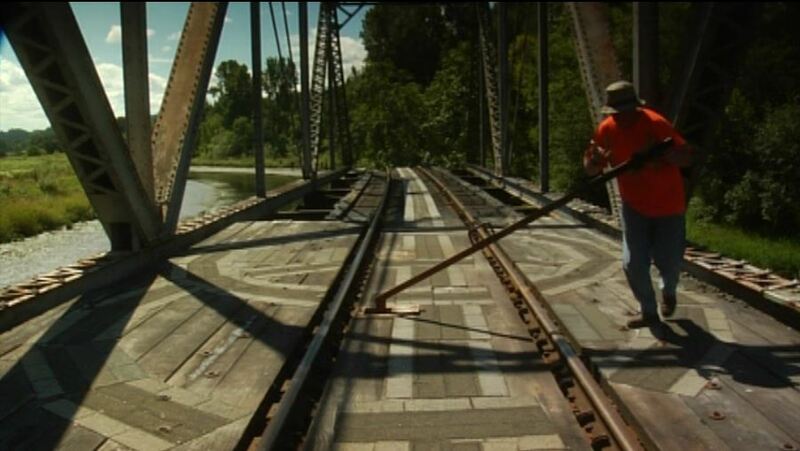 Nice sequence of closing an open railroad swing bridge — by hand! 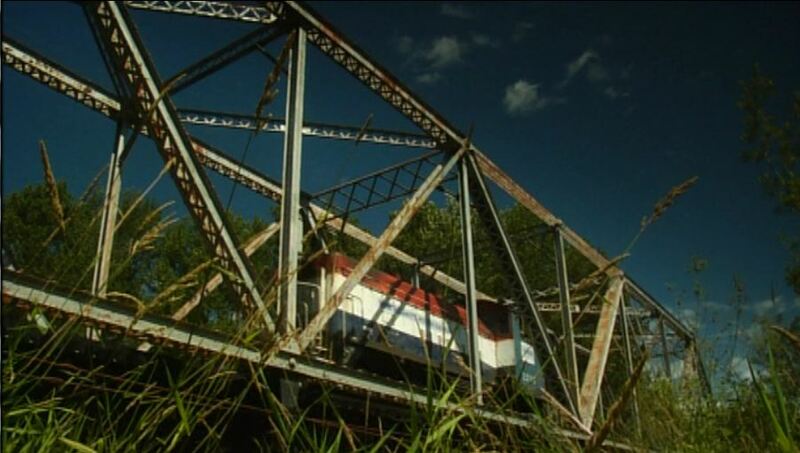 Will they get the bridge closed in time? ; Made it! WWR #1201 zooms across the span. 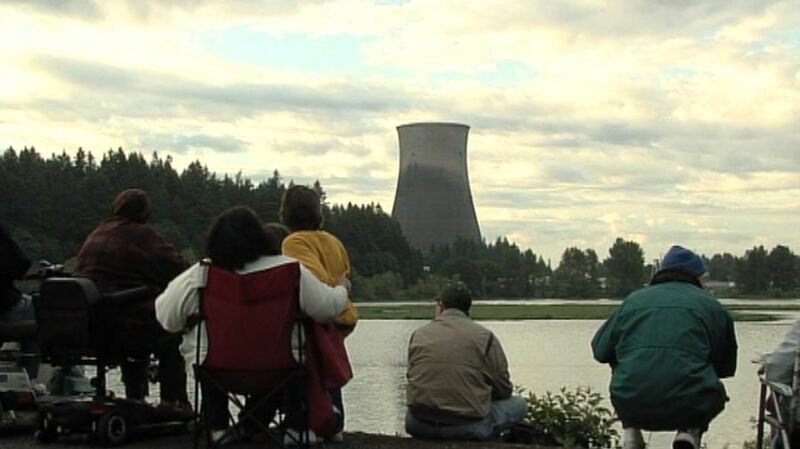 What are these nice people in the lawn chairs waiting for? 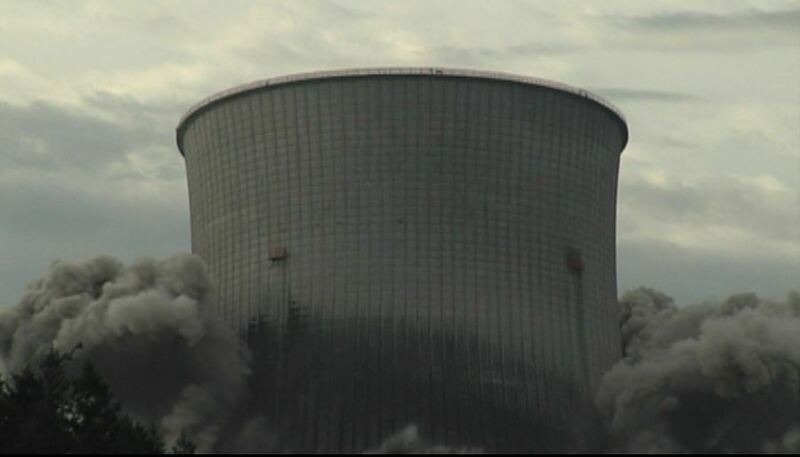 Yikes, they’re just about to blow up the old cooling tower at the Trojan Nuke Plant! 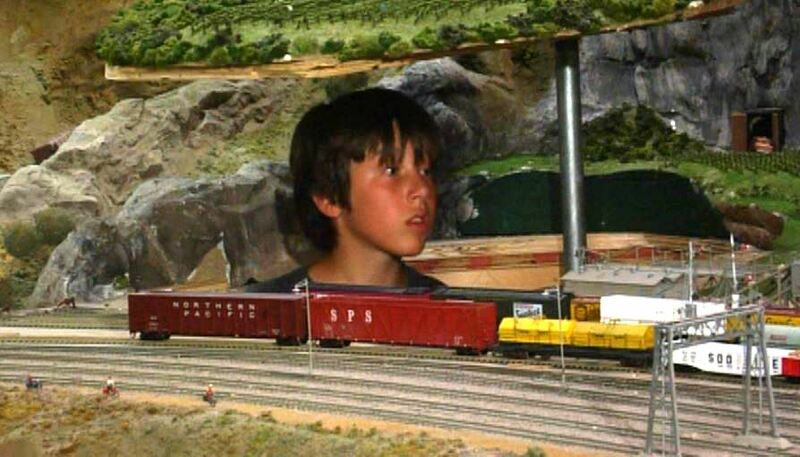 One more MAJOR obstacle in the path of the kid’s runaway locomotive! 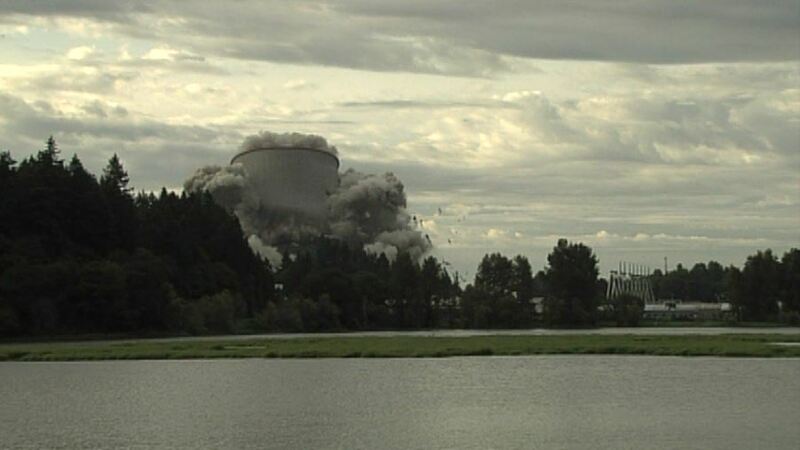 A couple sunny views of WWR #1201 about to pass over the camera. 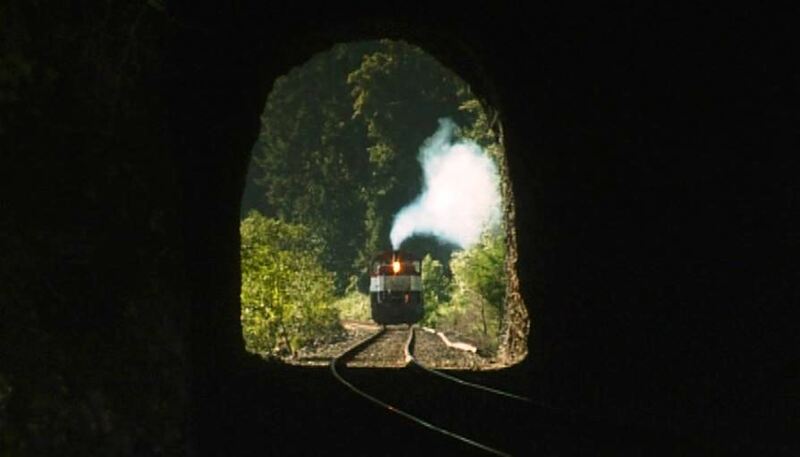 WWR #1201 smokes it up as it prepares to enter a short tunnel. And the credits roll. 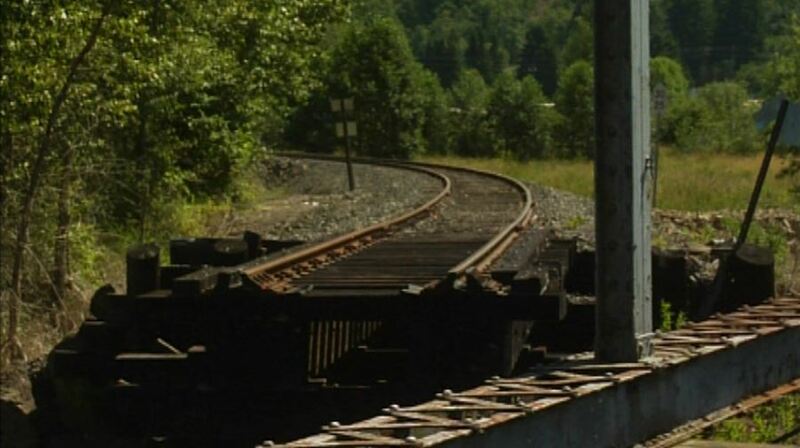 How did they stop the runaway train, you ask? They don’t say. 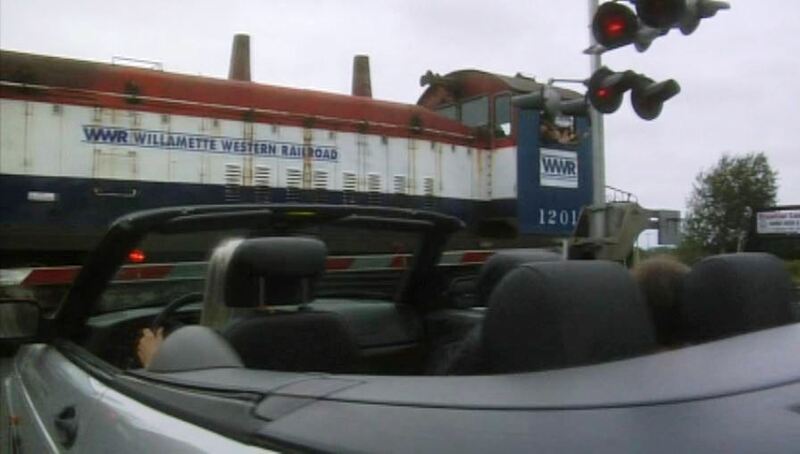 One minute WWR #1201 is speeding along and the next….the kids are seen walking down the tracks towards a road crossing where their parents and the media are waiting. 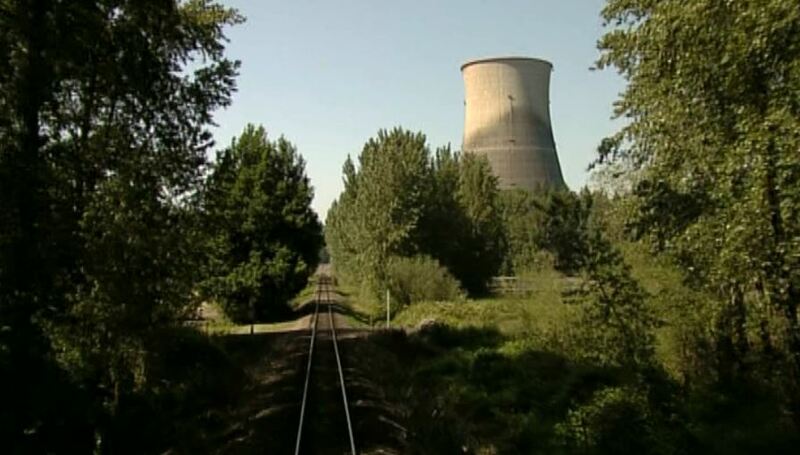 No locomotive in sight. Maybe it ran out of diesel fuel? In summary, it’s….just not a good movie. I had to watch most of it with the sound OFF and subtitles on — just couldn’t stand that ponderous, minor-chord sound track. 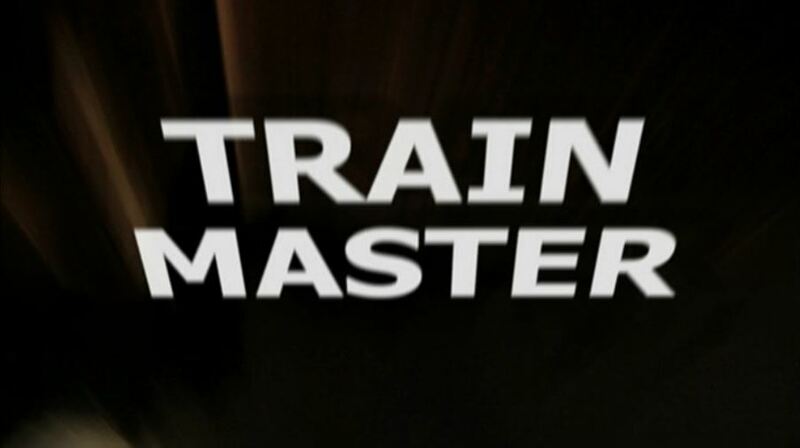 Do not watch Train Master if you are depressed. 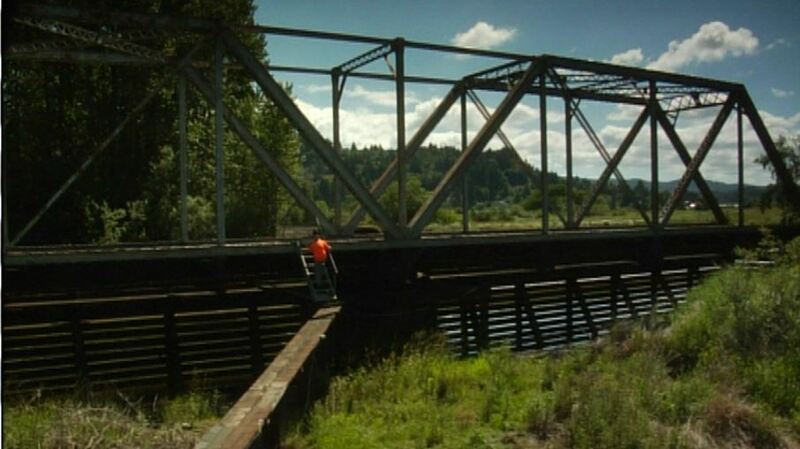 As stated above, the film’s saving grace is the train scenes — Hmmm, that Molalla Train Park sounds interesting — might have to take a road trip down there to see it! 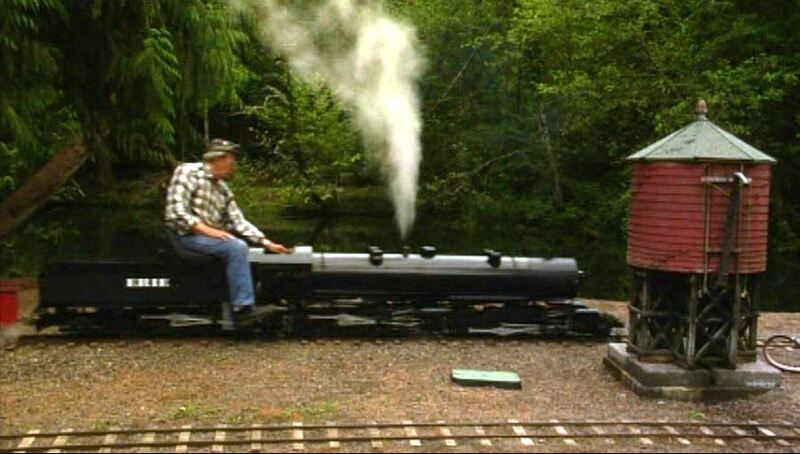 This entry was posted in Uncategorized and tagged Columbia Gorge Model Railroad Club, Molalla, Molalla Train Park, Oregon, Pacific Northwest Live Steamers, Pittsburg & Shawmut Railroad, Portland & Western Railroad, Train Master 2008. Bookmark the permalink.